Showing recent results 1 - 15 of 30 products found. 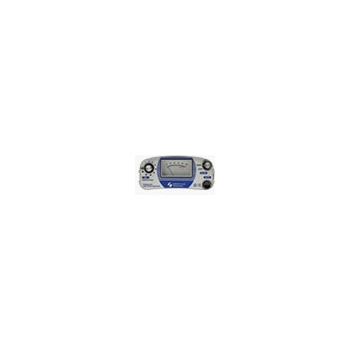 HG-10All - Fuji Tecom Inc. 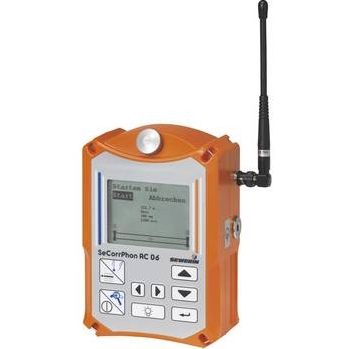 This is the High Performance acoustic leak detector.It has been 10 years since the HG-10All went on sale and this has built a solid reputation due to useful hand-switch and light weight sensor. 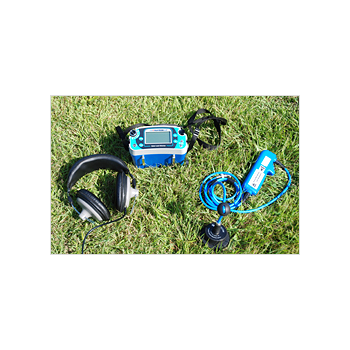 It allows accurate pinpointing of the actual leak.HG-10All professionals Water Leak Detector has optional 3 contact rod for Water leak surveying. 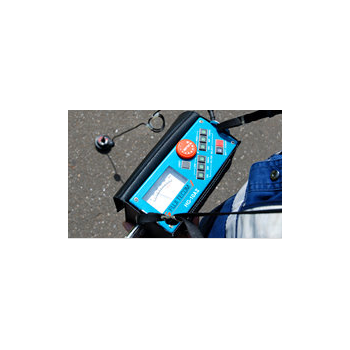 Fuji Tecom, founded over 50 years ago as a direct sales manufacturer of water leak detection equipment, continues to lead the field in Japan and beyond by offering the highest technology water leak detection equipment. Since 1958, thousands of water departments and leak detection professionals world-wide have chosen our leak detection tools. 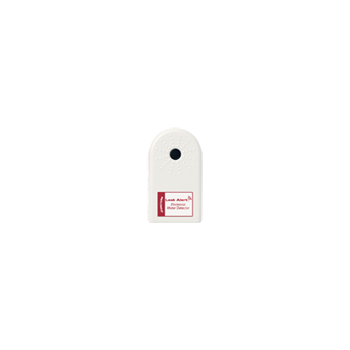 LD-7 - Fuji Tecom Inc. 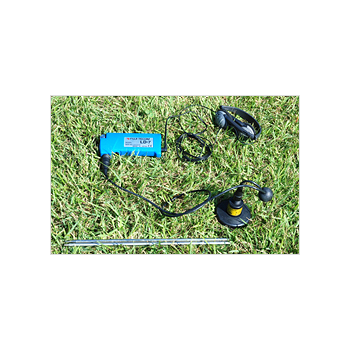 The LD-7 is the smallest and lightest-weight water leak detector yet it has a very sensitive ground sensor. 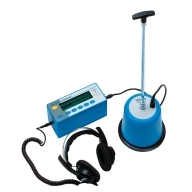 With the listening rod connected to the ground sensor, listen to the sounds of water-leaks transmitted to faucets, meters and valves.Whether your needs are for water leak surveys or for water leak pinpointing in service lines or in buildings, the LD-7 offers excellent performance at a very reasonable price. 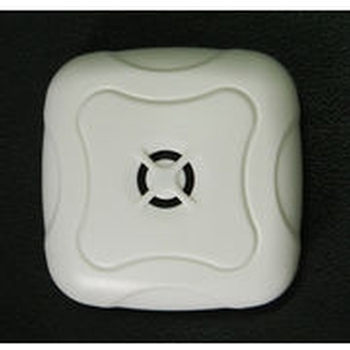 an electronic device that is designed to detect the presence of water and provide an alert in time to allow the prevention of water damage. 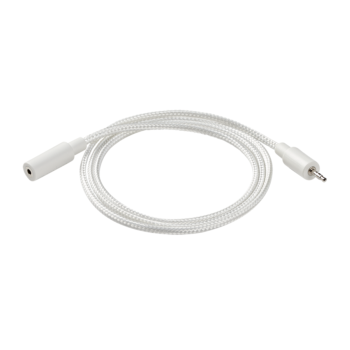 A common design is a small cable or device that lies flat on a floor and relies on the electrical conductivity of water to decrease the resistance across two contacts. DNR-18 - Fuji Tecom Inc.
With digital noise reduction that removes intermittent sounds like barking dogs and passing vehicles. DNR-18: the advanced digital CPU eliminates intermittent interfering noises, like passing vehicles, people talking, and pedestrian footsteps.Traditional band-pass filters filter continuous noises, such as A/C hum, idling motors, and wind. 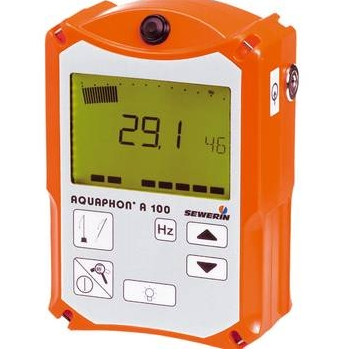 While traditional filters are very useful, they are not able to filter out the common, intermittent noises with broad frequency ranges.DNR-18 has optional accessories for water leak "pinpointing" and water leak "surveying". 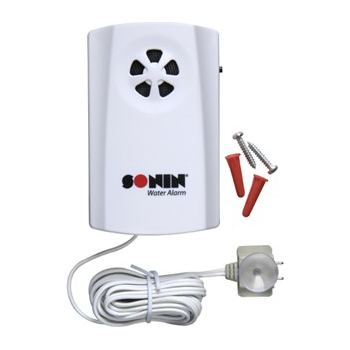 Protect your home or business from costly water damage by placing a Sonin Water Alarm with Remote Sensor anywhere there is a potential for a leak. 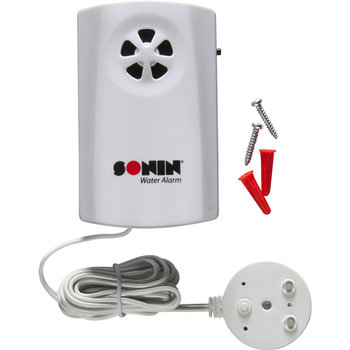 Protect your home or business from costly water damage by placing a Sonin Water Alarm with Flat Sensor anywhere there is a potential for a leak.